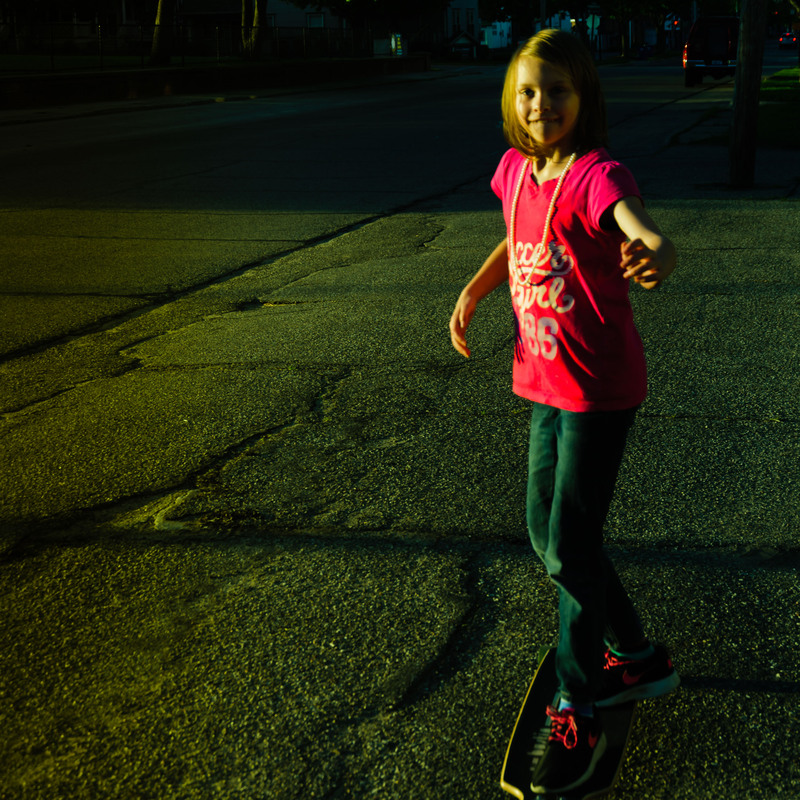 Backstory: 9 year old swipes her brother’s long board! Showed Grandpa and her brother she could! cool! you go girl! show those boys!